Booster Gold plays by his own rules on the pages of DC Comics, and if his movie gets made, it sounds like he won't have to worry about bumping into any members of the DC Extended Universe. Producer Greg Berlanti, the man behind the CW's The Flash, Supergirl, and more, told Vulture that Booster Gold won't be set in the same movie universe as Suicide Squad, Batman v Superman: Dawn of Justice, or the upcoming Justice League. "As of right now, we have no connective tissue to those worlds," Berlanti said. "It'd be a separate thing." 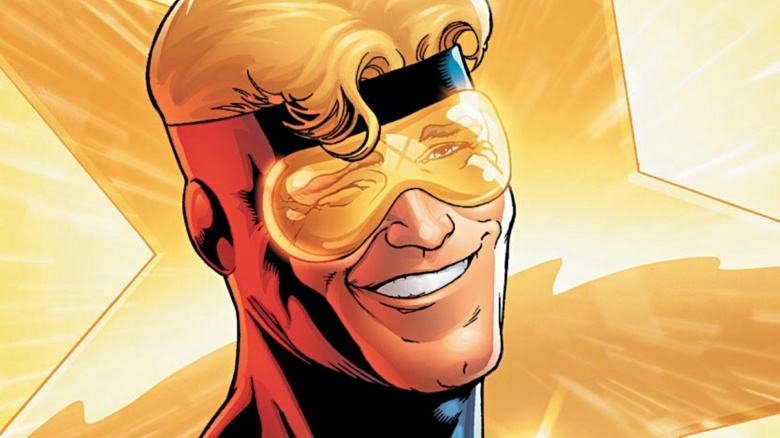 The character debuted in a 1986 DC comic book, and as Vulture points out, Booster Gold is "a cocky gent from the future who steals some high-tech equipment, travels back in time, and seeks fame and fortune as a superhero in the present." Berlanti said the project rose from the ashes of his idea for a Booster Gold TV series. Although he worked to develop the show with his longtime collaborator, producer Andrew Kreisberg (Arrow, The Flash), Berlanti said the series "never got off the ground." He revealed the pair decided to instead work on a movie version after talking to DC Entertainment's Geoff Johns. It's not the only DC adaptation Berlanti is currently developing. He's also putting together a series based on Black Lightning.